This year's Peckham and Nunhead Free Film Festival is already underway - too late if you've missed vampire film Nosferatu being screened in Nunhead Cemetery, but there's plenty more to come over the next week. 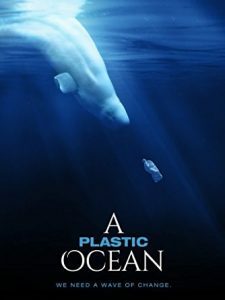 Highlights include A Plastic Ocean, a documentary about the impact of plastic pollution on marine and human life, showing this Thursday 7th September (8 pm) at Southwark Integrated Waste Management Facility off the Old Kent Road, and Raving Iran at Persepolis in Peckham on the following day (5 pm). On Saturday at the Bussey Building there's all day Afrikans on Film Festival. Full programme here, all events free of charge.